Mind your Language : Learn English ! Description du Jeu Video Mind your Language : Learn English ! 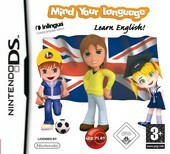 Images du Jeu Video Mind your Language : Learn English !